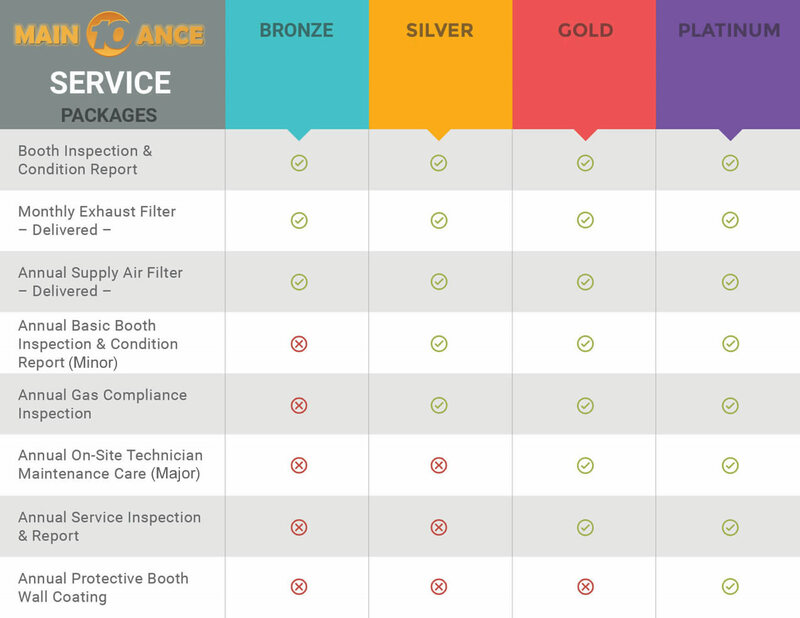 Unsure which service maintenance package best suits you? 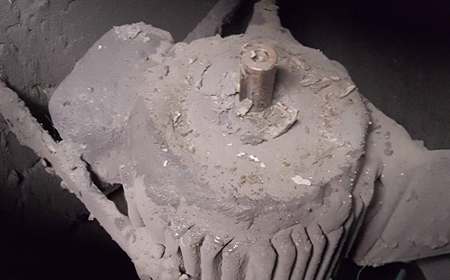 Dont let your spray booth get this bad! A clear fire hazard and a sure sign your booth hasn’t been serviced in a very long time. 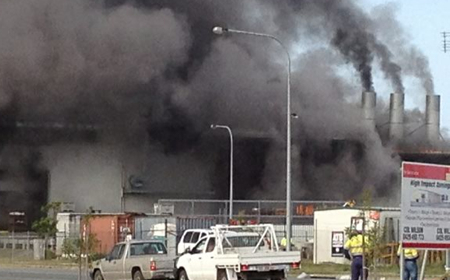 Most fires start in the exhaust plenum, if not removed it can self ignite and fuel a spray booth fire. 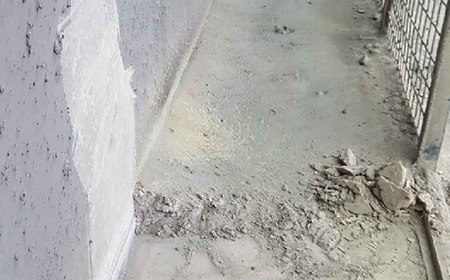 If your floor base is as full in over-spray as this then its not going to have great airflow. 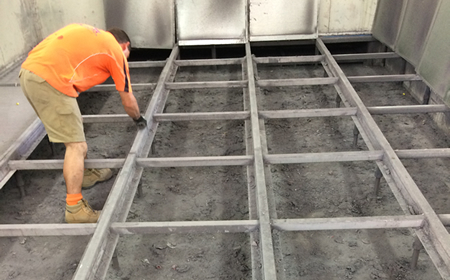 When there is a lack of maintenance on your spray booth there is a significant risk of fire. Let us service your booth! Clean Walls, Scrape Impellers, remove over-spray from plenum’s, clean and re-seal all of these services keep your booth clean and safe. Keep your booth looking like new and avoid over spray on walls. Change inlet and exhaust filters on your booth using high quality filter that stops dust from coming in and traps overspray from leaving. Water pumpouts and cleaning services for water filter spray booths are essential to maintaining a healthy spray booth and water quality. Preventative Service Maintenance is best described as a program in which wear and tear can be are addressed and anticipated on a continuous basis in order to minimise major breakdowns or failures and ensure peak efficiency and operation of your spray booth equipment. Why is service maintenance so important? Significantly mitigates the risk of fire. What are the key service intervals? Annual Type B – Gas Service Mandatory. 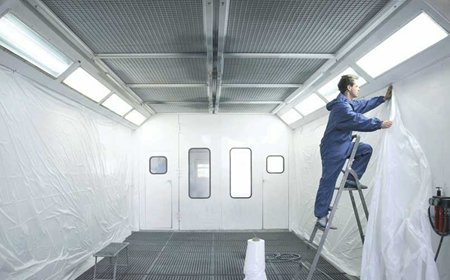 We have been the leaders in service maintenance for the spray booth industry for the last 30 years. 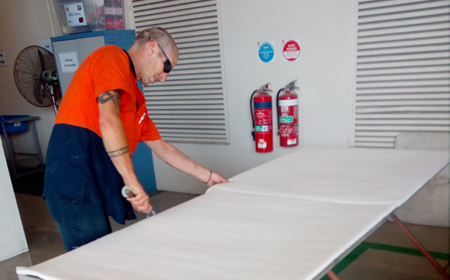 Our Service Division owned and operated by TRUFLOW Spray Booths (Aust) offers our customers complete support and product back up no matter what brand of spray booth you have. We also offer a number of standard and tailored servicing programs for our clients at competitive prices. We can test and assess all areas of your Spray Booth performance including checklist on site service maintenance and replacement parts. Truflow employs licences Type B Gas Technicians who can complete mandatory 12 monthly burner services and documentation for Gas and Oil fired appliances. No matter how large or how small we can adapt a service schedule to suit your needs and reduce your downtime. 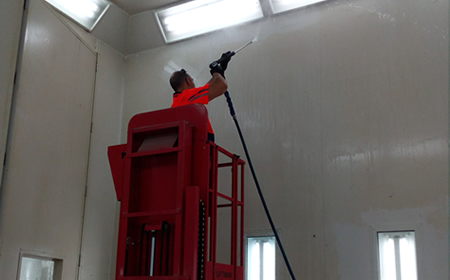 The Service Division is backed by our Australia Wide network of dedicated technicians that can help you with your spray booth. 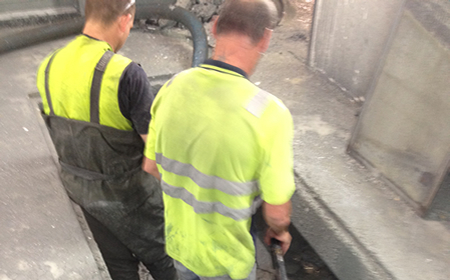 Replacing filter media, water treatment products, breakdowns, cleans and pump outs as well as all waste water removal. We ensure no matter what brand of booth you have you will be up and running at in no time.